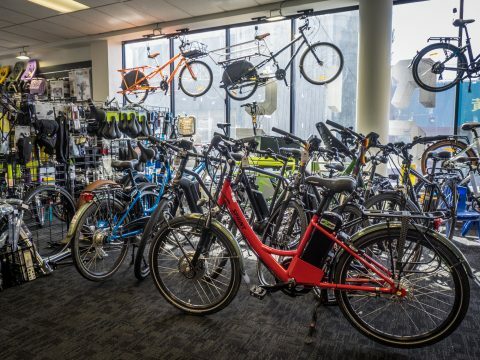 Electric Bike Team, located in Auckland city is New Zealand’s premier Electric Bicycle Store. Our mission is to turn Auckland into a cycling city by providing everything you need to enjoy a life on two wheels. We have electric bicycles for everyday city riding, commuting to work, exploring rail trails, carrying children and more. We specialise in commercial and corporate e-bike fleets and also wholesale eZee electric bicycles around New Zealand. Getting set up with the right bike is very important and we do this by listening to your needs and using our vast experience to suggest the right ones for you to try. We are superbly located with fantastic test riding on safe, car-free cycleways including the beautiful Te Ara i Whiti (award-winning pink light path), the very hilly Grafton Gully Cycleway and many more. You are welcome and encouraged to bring a friend and go for a long, fun test ride. In addition, we can arrange overnight and longer trials to give you the confidence you need to choose the right bike. All test rides and trials are free and available anytime, just walk in. At the Electric Bike Team we understand that introducing the perfect bike into your life is just the first step! We service all of our bikes and have access to spare parts, many of which are kept on our premises. We even offer courtesy electric bicycles while we are servicing the one we sold you, because once you’ve got an e-bike, you won’t want to be without it! We do more than just electric bicycles! 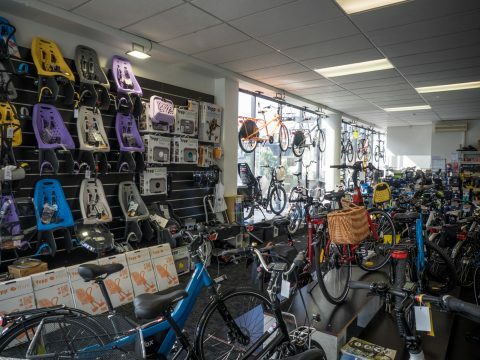 We are Auckland’s only stockist of Brompton folding bicycles and are active in the Auckland Brompton Club! We stock Vivente World Randonneur, the world’s finest touring bicycles for those who are looking for the last touring or commuting bicycle they will ever need to buy in their life! As well as two-wheelers we also carry Auckland’s most comprehensive range of bicycle accessories for everyday riders. 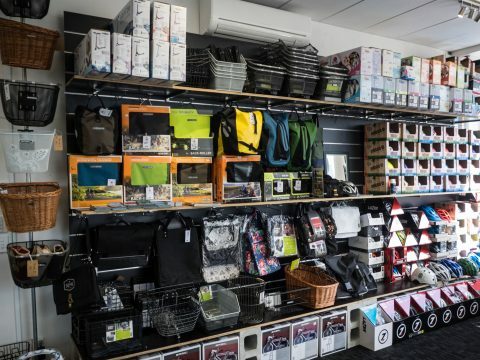 We have a huge range of Basil baskets and bags from the Netherlands, Yepp child seats, Ortlieb waterproof panniers from Germany, urban helmets by Nutcase and Melonhead, puncture proof tyres by Schwalbe and much more. Finally, no transport bicycle shop would be complete without looking at where it all starts – we stock a huge range of baby seats of various brands. We also have the complete range of Microscooters in stock, for both kids and adults including spare parts. So come on in today and see what all the fuss is about! We can’t wait to meet you and show you our fantastic shop!